CompanionLink for Google is software that does a two-way ync between Outlook and Google, which automatically syncs with Palm Pixi using Palm Synergy. Contacts, calendar, and tasks from Outlook sync to Google and Pixi, and they and can be edited on either the PC or on the phone. With CompanionLink, no additional configuration of your router or home network is required. 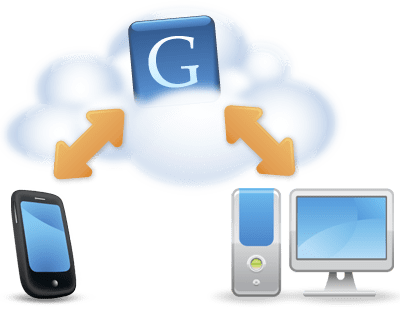 As long as your PC has an internet connection, data will sync two-ways between PC and Google. Pixi will sync any changes you make. CompanionLink for Google has an “auto sync” feature that automates the entire process. You can set how often the sync between PC and Google should occur, and let CompanionLink run in the system tray on your PC. More info about Outlook sync with Google and Palm Pixi. This entry was posted in CompanionLink Products, News and tagged outlook google pixi, outlook pixi wireless by Rushang. Bookmark the permalink.